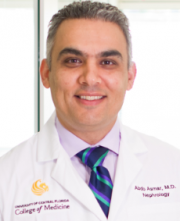 Abdo Asmar, MD, is an Associate Professor of Medicine at the University of Central Florida, College of Medicine. He is a founding faculty member and serves as Program Director for the Internal Medicine Residency Program. He completed his residency in internal medicine at Cook County (Stroger) Hospital in Chicago, IL, where he also served as chief resident. He then completed his nephrology fellowship training at the University of Florida in Gainesville, FL. He is a Designated Clinical Specialist in Hypertension by the American Society of Hypertension. His clinical interests are varied and include resistant hypertension, glomerulonephritis, and acid-base and electrolyte disorders. Dr. Asmar’s academic interest is in student and resident education. His goal as an educator is to empower the learner with a broad knowledge base, foster critical thinking and to infuse a desire for lifelong learning. He is a member of the United States Medical Licensing Examination (USMLE) Test Material Development Committee. Dr. Asmar serves on the National Kidney Foundation of Florida Board of Directors and is also a member of its medical advisory board. 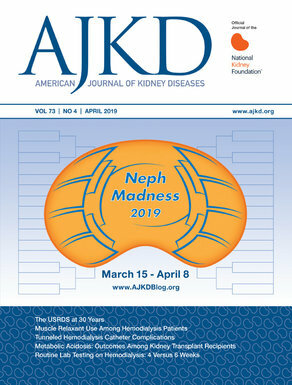 He is a fellow of the American College of Physicians, the American Society of Nephrology, and the National Kidney Foundation. Read Dr. Abdo Asmar’s posts.